100% of excitement! 200% of thrilling!! The first marine farm in the world! You can have a close look at Whale Shark that is so popular in Churaumi aquarium as well! You will be thrilled by its overwhelming size and power. 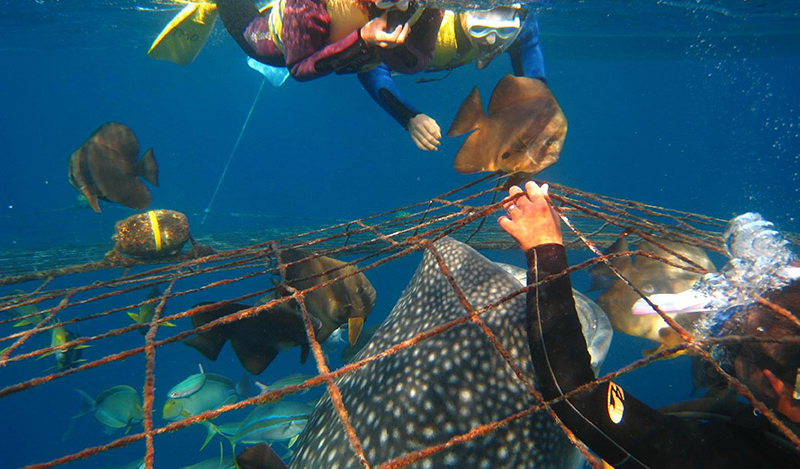 You can look at Whale Shark from 2m distance in this snorkeling. *Service may not be provided depending on the weather conditions. Thank you for your understanding in advance.